The world is your oyster, rockfish, hush puppy, strawberry and everything else under the Virginia Beach sun – fresh and at your doorstep. Be hungry. Be adventurous. Dine like a local. Over easy. The best-kept secret of the beach life has to be our breakfast. Virginia Beach is home to a beach-worthy bounty of local favorites sure to start your day in the right direction. From crab-filled omelets to Eggs Benedict, just follow the local surfers and fishermen to an array of divine, hidden hotspots. Munchies, lightly salted. Sometimes the best meals are those you take to go. To get the most out of your “local” dining experience, simply grab a sub or yesterday’s leftovers and park yourself on our beautiful beach. There are no reservations, no bills and it’s always the best seat in the house. Mmmmm a la beach cruiser. In Virginia Beach, the boardwalk is your best friend. It’s a gateway to a whole world of culinary adventure. 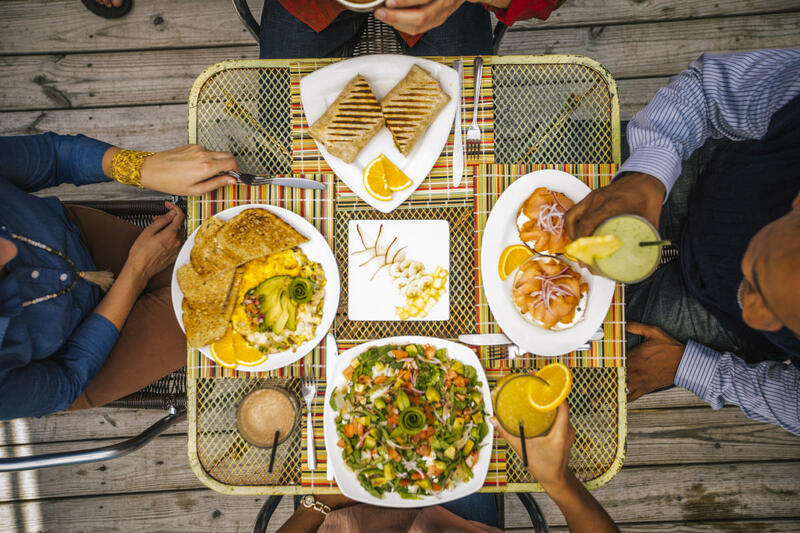 We recommend grabbing a beach cruiser and popping in to a variety of dining destinations to grab an appetizer, a main course and a dessert, or two. It’s the best way to get a variety of local flavors along with a heavy helping of the beach vibe. Ocean views and newspaper plates. Some of the best dining experiences happen in your own beach vacation home backyard. 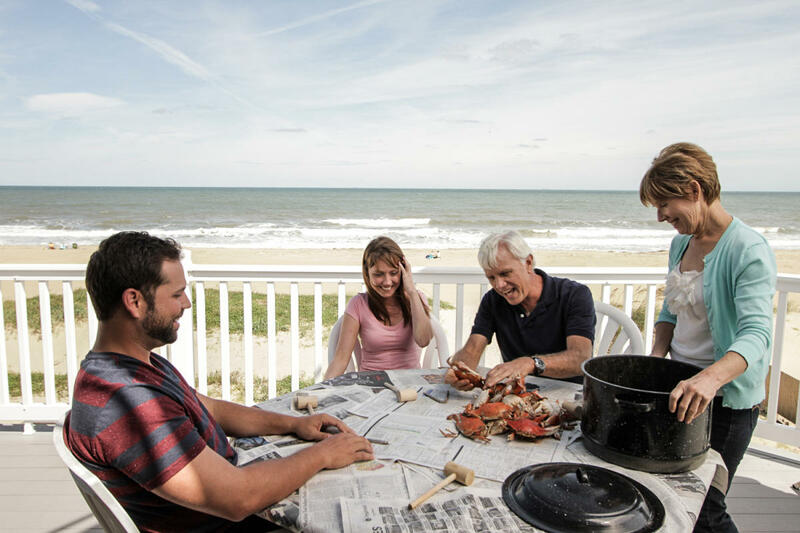 All you need is a table, yesterday’s newspaper and a bushel of delicious blue crabs and you’re well on your way to a local’s favorite. Pick two sides-paddle left and right. One of the most unique dining experiences you’ll find in Virginia Beach is by kayak. 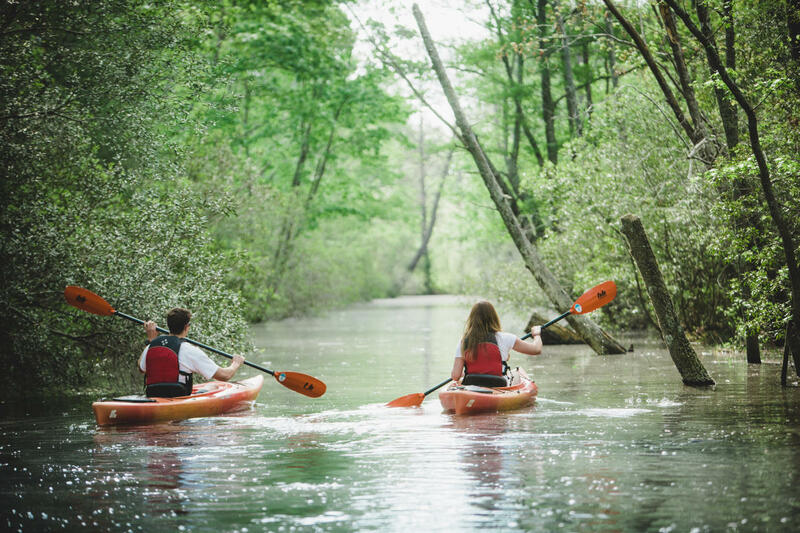 Take an unforgettable paddle through Pungo to one of our favorite local spots for an evening of deliciousness on the water. And don’t worry about overeating, your return trip is by van, so dig in! High rise, setting sun. For some nightlife and delicious fare. It has all the beach. It has all the beach charm you’ve grown to love with an urban vibe you won’t soon forget.